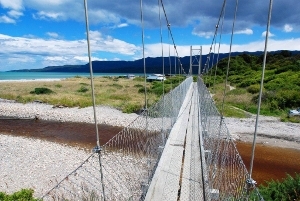 Tuatapere is located on the banks of the majestic Waiau River which is conveniently located on the Southern Scenic Route between Te Anau (98 km) and Invercargill (88 km) and is an ideal location to base yourself for a few days. The centre of a farming community, Tuatapere is often referred to as the ‘Sausage Capital of New Zealand.’ It has several art and craft galleries and the Bushman’s Museum displays a detailed account of the areas sawmilling history. There are also a number of jet boating, fishing and tramping opportunities available. Home to many waterfowl species, including scaup/ papako, grey teal/tete and paradise shelduck/pûtakitaki, these wetlands provide a network of walking and cycling tracks. Managed by Kai Tahu, the site has a diversity of mahika kai (producing or procuring food) values, plants, wildlife and fisheries. It represents a resource that can be used to further peoples knowledge of mahika kai values. There are accommodation options and wheelchair-friendly facilities. 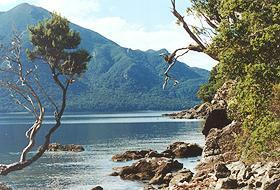 Borland Road is a backcountry 4WD route to the South Arm of Lake Manapouri. Conditions on the narrow road can be treacherous and it is often closed during winter months and occasionally in summer. Contact a DOC office for road conditions. The Borland Lodge Adventure and Education Trust provide a range of accommodation, conference and meeting facilities. 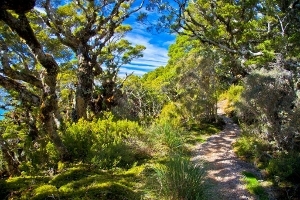 An easy short walk opposite Borland Lodge through beech forest, this is one of the best places in Southland to see native mistletoe which flowers in early summer. 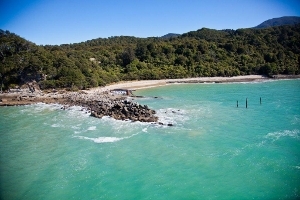 Monowai was one of the first New Zealand lakes to be harnessed for hydro-electric power production and is a gateway to the southern part of Fiordland National Park. Hauroko means “the soughing of the wind”. At 462 metres deep, this is New Zealand’s deepest lake. The Wairaurahiri River leaves Lake Hauroko and flows through the Waitutu Forest to the South Coast. Accessed from the Lillburn Valley Road, Lake Hauroko is signposted from Clifden. There are varied recreational opportunities in the area and commercial operators to help you explore. The Wairaurahiri River is the steepest river in New Zealand to be navigated by commercial jet-boat operators. 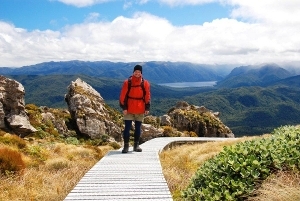 The Lake Hauroko Bush Walk is an easy 40 min return loop walk. 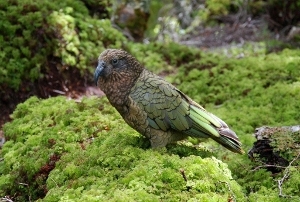 Walk through mature beech forest to overlook the lower reaches of Lake Monowai. Signposted from the road to Lake Hauroko, a pleasant 12km drive takes you to the track entrance Along the track you will see some of the largest tôtara trees in Southland, over 1,000 years old. A viewing platform provides excellent views of Te Waewae Bay and the tiny one million years old Solander Islands to the south - formed by the eroded skeleton of a volcano. According to Mâori legend, the Solanders are the broken tooth and crumbs tossed aside by Kewa the whale when it chewed between Stewart Island/Rakiura and the mainland. This is the starting point for the Tuatapere Hump Ridge and South Coast tracks. Hectors dolphins / upokohue can sometimes be seen from the beach, as too can southern right whales/tohorâ. 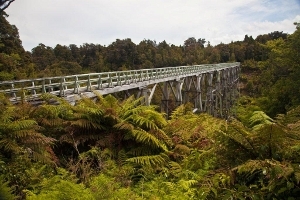 Experience stunning coastal, forest and mountain scenery on the Tuatapere Hump Ridge Track. 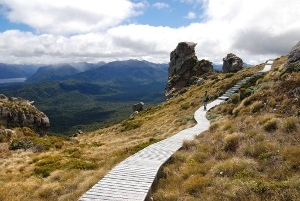 The Tuatapere Hump Ridge Track is a 55km, 3 day loop walk that winds along the south coast of New Zealand, through the pristine Fiordland National Park, up to the sub-alpine zone of the Hump Ridge and over the largest wooden viaduct in the world. 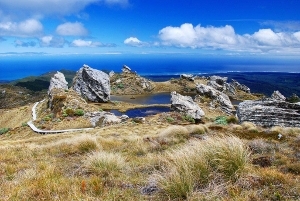 At the top of the Hump Ridge range, walk around soaring limestone tors and enjoy panoramic views of south-west Fiordland, the Southern Ocean and Stewart Island. 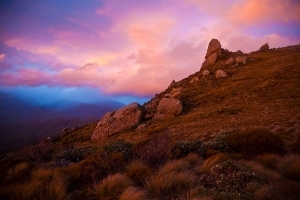 Relax at the two unique backcountry lodges and watch the fabulous Fiordland sunsets with a glass of NZ wine or beer from the licensed bar. Upgrade options include hot showers, private premium rooms, heli-packing, heli-lifts and track transport. 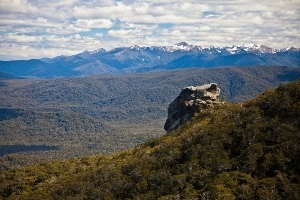 Independent walking & guided packages are available. Prior booking and payment is essential. These limestone caves are one of few cave systems in Southland and are signposted along the Clifden Gorge Road. Ensure you have a good torch with spare batt eries and warm clothing. Ask for advice at the nearest visitor centre. Warning – This cave system is subject to flash flooding. Do NOT enter during or immediately after heavy rain, or if rain events are forecast. To fully explore these caves, caving experience is essential. Construction of the suspension bridge started in 1898 when it replaced the punt used by early sheep stations. The site of a 1920s timber mill and town, the only remaining historic building is the school which is now DOC accommodation (more comfortable accommodation is provided by the Tuatapere Hump Ridge Track, bookings essential). A self-guided heritage trail takes visitors around relics of the town and mill site. The Percy Burn viaduct (approx 2 hr walk west from Port Craig) is a spectacular site. 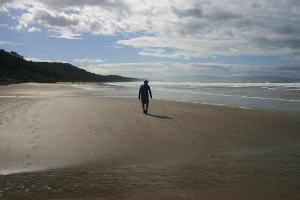 There is a vast selection of other things to see and do; beaches, lakes, historic sites, bush walks and a World Heritage area. Bushmans Museum, Orepuki Gemstone Beach, Limestone caves, Hunting, Tramping and Jetboating. Unless you take a scenic helicopter flight over them, it takes a little time to see Port Craig and its associated Wooden Viaducts. The best way to get a feel for the area is to walk the Hump Ridge Track which takes you over 3 of the 4 historic viaducts. Your second of 2 nights will be at Port Craig where you can explore the history and old relics of where a sawmill and its community once existed in the 1920's. You can also swim with the rare hectors dolphin which live amongst the old pylons of the wharf at the beach there.